Sharon is a charming village that offers many fun and relaxing activities for families as well as adventure-seekers. This small village began to take shape in the early 19th century and while its population has always been rather small, there is no shortage of history and interesting activities that will keep anyone entertained. If you are visiting Sharon anytime soon, you’ll want to be sure not to skip out on any of these activities. Here is a list of fun things to do in Sharon, Ontario. The community of Sharon was also known as the Children of Peace due to its Quaker origins. 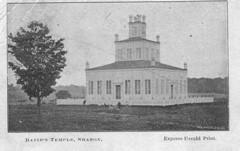 The Temple was completed in 1832 and served as the center of activity for the community. It was recently restored in 2011 and is a part of the Sharon National Historic Site, which also includes 9 other historic buildings nestled among the natural beauty of the park-like setting. The site features many exhibits on the Children of Peace and also features rotating exhibits, which will provide for a fascinating and education experience for visitors. Located a short distance from Sharon, Brooks Farms provides the perfect setting for a fun-filled family day. Young children especially enjoy the activities offered here, including pumpkin picking, a petting zoo, tractor, wagon or train rides, duck races, zip lines, and a playground. Many families feel that they can spend the entire day here and their children want to return again and again! Sharon is a golf-lover’s paradise. With 5 top-rated golf courses in and around Sharon, golfers of every skill level will find something to appreciate in the area. Visitors can choose from Shawneeki Golf Club, Pheasant Run Golf Club, Silver Lakes Golf & Conference Centre, Bradford Highlands Golf Club, and Northern Greens Golf. 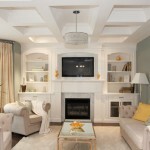 Each different course offers a variety of amenities that the whole family will enjoy. Rogers Reservoir Conservation is the perfect location to take a walk, jog or go for a bicycle ride. It’s also a great spot for fishing, and the beautiful scenery provides unique opportunities for magnificent natural photography or memorable family photos. There is also an interesting ‘ghost’ canal system that was built and abandoned in the early 1900s without ever being used. The reservoir is perhaps best known for its bird-watching opportunities. Featured species include the blue heron, American coots, ducks, geese, and woodpeckers. Sharon offers other alternatives to enjoy the natural, scenic beauty of the region. There are many different hiking trails for various skill levels. Whether you want a rigorous workout or a leisurely stroll, there are numerous options to meet your purpose. 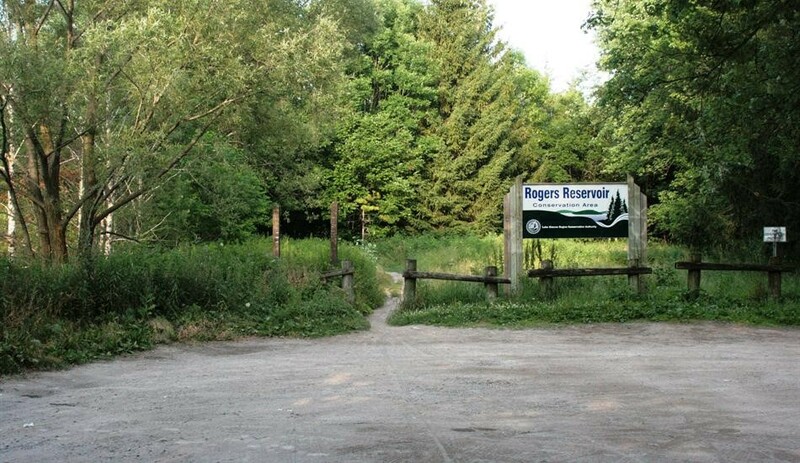 Simcoe trails are especially well-known for 3 sections that move from moderate to difficult and pass by many natural and man-made features including a cedar forest, wild roses, a wooden bridge, a library and tennis and basketball courts. Located near historic Sharon, in East Gwillimbury, this antique mall offers a fun and inexpensive opportunity to find rare treasures. 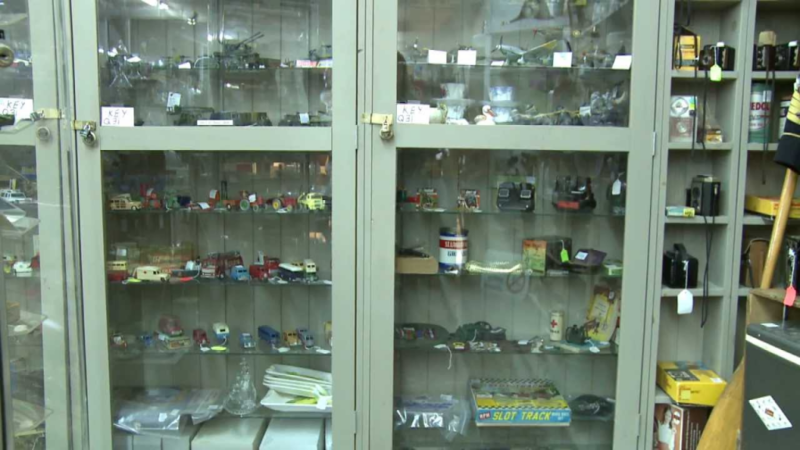 Even if you don’t purchase anything, you’ll love browsing through their large collection of rare items from many different eras. In addition to original items, this shop offers many ideas for upcycling older pieces into one-of-a-kind home décor. For more information on enjoying your time in Sharon, please visit Mosaik Homes.